Resistant to the motives of mainstream media, and inspired by gender theory and identity politics, Orlando is a print magazine and online platform where a polyphony of voices and ideas can come together. By abandoning rigid notions of ‘masculinity’ and ‘femininity’, Orlando nods to a future where societal constraints are dispelled in favour of a united body. After the proto-themed Issue 0, the new issue takes the broad theme of history, memory and the future. It is particularly focused on the role of art in the space of social change and political engagement. I noticed over the last year that many of the discussions I was having, or events I had attended, were rehashing the past through the lens of the present. In a community depressed by the result of the 2015 election in the UK, the blatant prejudice within austerity measures, and the waging of war in our name, ways of negotiating our existence have become more difficult. Rethinking the past, in the present moment, can provide a more liberated and positive future for young generations. The concept of history and legacy in the magazine is used in a fresh and exciting way, not merely through formal representation, the contributions range from conversations between the feminist ‘waves’ to reactivating archives, or reconsidering ways of thinking about how the museum functions, or how marginalised history can be preserved. By disrupting history as something homogeneous and reliable, the potential to unlock regenerative new ways of thinking about the future can be sparked. The rise of DIY publishing, feminist and queer zines, artist book fairs, and radical small press has been particularly galvanising, and I am excited that Orlando will be exhibiting at both the London Radical Bookfair and DIY Cultures this May. However, due to the focus in the recent issue on history and memory, I have selected five examples of magazines or publishing that have been particularly inspiring, either due to their choice of content, brilliant graphic design or influential editorial politics. I love Modernism. The Bauhaus, Russian Constructivism, De Stijl, and the photo montage tradition have all inspired the look and feel of Orlando. 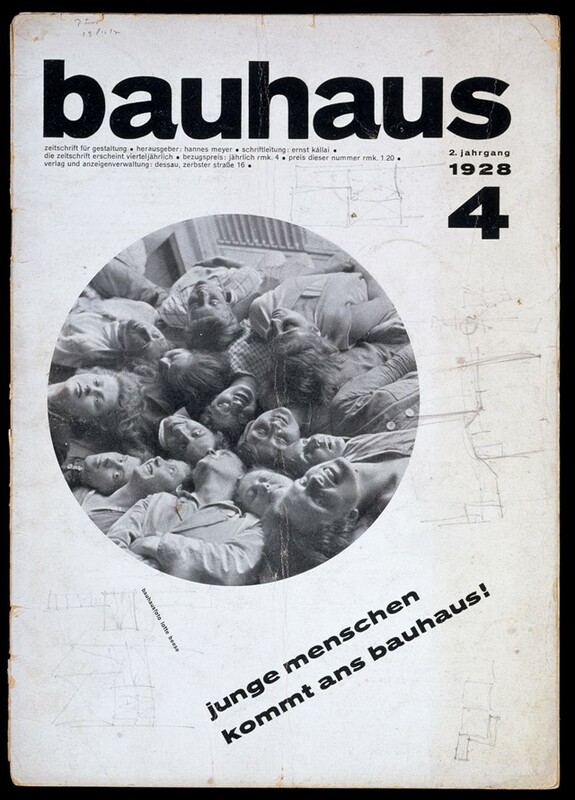 The Bauhaus in Dessau was one of the most influential 20th century art and design institutions, even when it was shut down by the Nazis in 1933 their ideas continued to be disseminated internationally. At the heart of their utopian vision was a commitment to radical social change, particularly economic equality, and social housing. The magazine ran from 1926-31. Walter Gropius and László Moholy-Nagy operated as editors at different points, and authors included Paul Klee, Wassily Kandinsky, Marcel Breuer, and many others. Merz (1923-32), published by Kurt Schwitters, is another great example of how influential ideas could be exchanged through periodicals, and sent around the world. Merz also featured significant collaborations between artists like Hannah Höch, El Lissitzky and Jean Arp. MAKE magazine was a publication produced by Make, an organisation for women in the arts, formerly known as the Women’s Art Library or Women Artists Slide Library (now housed at Goldsmiths University). First published as a newsletter in 1983, it was developed throughout the decade, emerging as a journal in the 1990s, and finally as an art magazine until it ceased publication in 2002. 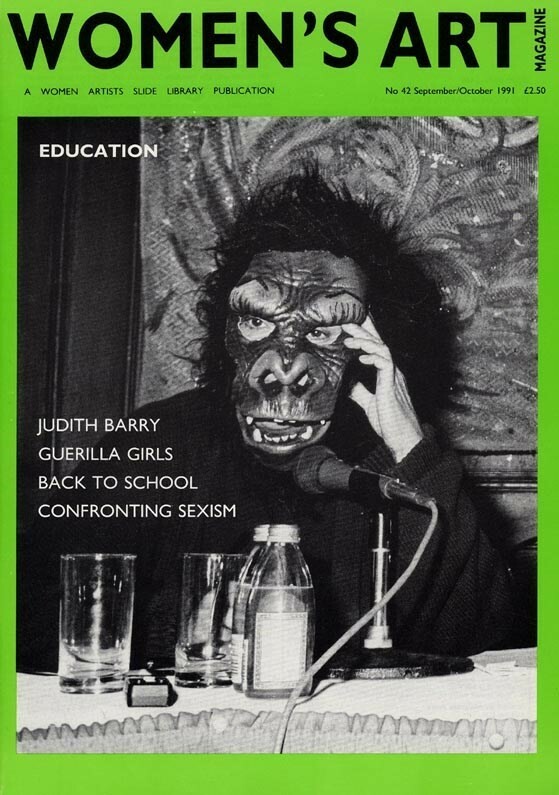 The magazine offered a unique platform for academics, artists, and professionals to critically engage with women's art. Content focused on the historical and the contemporary, highlighting artists from across the world and varying from features to projects, interviews or debates. Their stance was bold and provocative, profiling work by Helen Chadwick, Mona Hatoum, ORLAN, Cosey Fanni Tutti, Gillian Wearing, and many more. IB Tauris recently published a fantastic anthology of “Twenty Years of MAKE Magazine”, as a way to explore their archive and trace the lineages and links between then and now. There is a famous quote from Audre Lorde that I often think about when considering the ethos behind Orlando, “there is no thing as a single-issue struggle because we do not live single-issue lives”. I think this is a really poignant message to convey, it is so important to recognise the intersection of differing identities and their related systems of oppression and discrimination. Lorde was instrumental in the development of Kitchen Table: Women of Color Press, the activist feminist press set up by Barbara Smith in 1980. 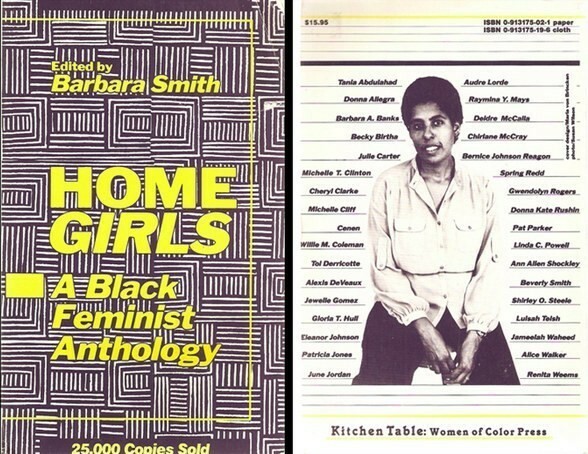 Kitchen Table was the first publishing company to be run autonomously by women of colour. In addition to publishing books, they also ran an advocacy organisation devoted to the liberation struggles of those who were oppressed by society. Their significant impact on other writers is paramount, such as tatiana de le tierra, who created the first Latina lesbian magazine Esto no tiene nombrenombre. One of their most renowned imprints is the 1983 anthology, This Bridge Called My Back: Writings by Radical Women of Color, which changed the face of academia for its linking of feminism, race, class and sexuality. 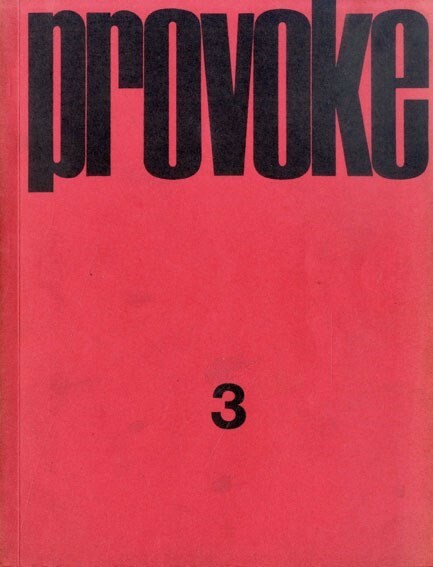 Provoke was a short-lived Japanese photography magazine that ran from 1968-70, founded by photographers Yutaka Takanashi and Takuma Nakahira, critic Koji Taki and writer Takahiko Okada. Featuring work from notable contributors such as Nobuyoshi Araki, Daido Moriyama and Shomei Tomatsu, the photographers broke with the enforcement of censorship that had been left over from the post-war American Occupation. Their use of the grainy, blurred, out of focus style (known as are-bure-boke) was a sharp contrast to prevalent straightforward European commercial photography and journalism. The innovative graphic design aesthetic within the magazine, such as serialisation, dynamic cropping and the combination of text and image was very influential. Provoke coincided with an intense period of social unrest in Japanese society, there were significant widespread student protests, alongside demand for employment, housing and education. Spare Rib (1972-93) was a crucial part of the second wave Women’s Liberation Movement, alongside other great publications like Shrew and Red Rag. Founded by Rosie Boycott and Marsha Rowe, but operating as a collective, Spare Rib challenged the stereotyping and exploitation of women, while supporting collective and realistic solutions to societal and political hurdles. An alternative to typical women’s magazines of the day, usually run by men, which focused on beauty, patriarchal romance and domesticity, the aim of Spare Rib was to reach out to women from all backgrounds, to raise awareness of inequalities and to challenge traditional perceptions and representations of gender. The witty and subversive name of the publication was mirrored by the striking and sometimes controversial cover design. The magazine managed to encompass threads of feminism from many different angles. Sue O’Sullivan wrote in 2007, “(we were) socialist feminists, radical feminists, revolutionary feminists, lesbian feminists, liberal feminists and black feminists”. The British Library digitised the full run of Spare Rib last year, which can be accessed through their website.